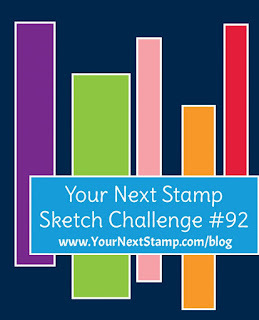 Your Next Stamp Sketch and Color Challenge #92! This was a fun layout! 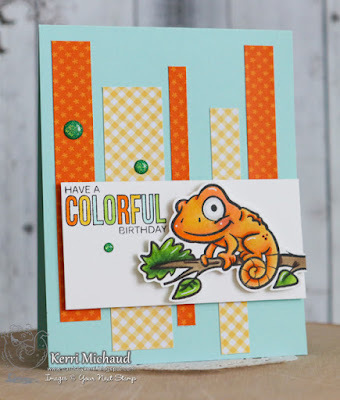 I used one of the super cute chameleons from the One in a Chameleon stamp set along with some various scraps of dp. I colored him with Copic Markers and popped him up with foam tape. 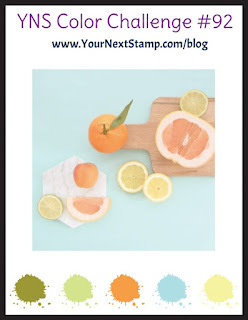 I added some Watermelon Party Sparkly Gumdrops to finish it off. 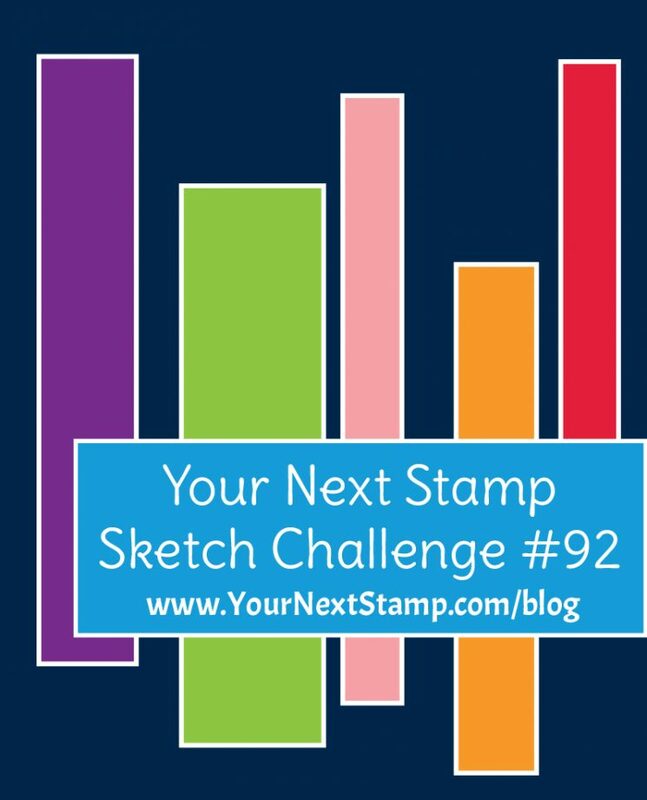 So fun and simple!